Just about every cover of Glamour within the past twelve months was torn apart by our forum members and when the news dropped that Samantha Barry was to replace the long-serving Cindi Leive as EIC, we thought the magazine would be in for a much-needed revival. A revival we’ve got and if you thought things were dreadful a year ago, be prepared for what you’re about to witness. 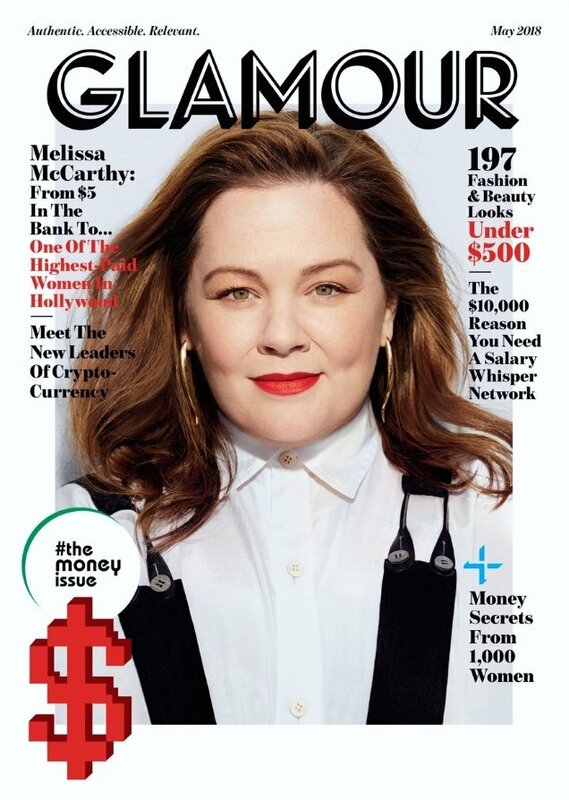 Barry has overhauled the entire magazine for the May 2018 edition, making Melissa McCarthy (photographed by Miguel Reveriego) the unfortunate victim cover girl. Glamour‘s retro-inspired look did not go over well in our forums. “That masthead is absolutely appalling,” commented dior_couture1245 at once. “This looks like a parody of a magazine cover! And my god, why so much airbrush on her face, took me a while to recognize her,” exclaimed Miss Dalloway. “Wow, this is horrible and I actually enjoy Glamour. Poor Melissa, she is so pretty and talented and deserved a better cover!” SallyAlbright chimed in. TaylorBinque thought Melissa looked different too. “That doesn’t look like Melissa! Poor her, seriously everything is wrong on this cover and the redesign. There’s no ‘glamour’ at all,” he critiqued. Also quick to express their dismay was Srdjan. “I never cared for Glamour, but I’m really shocked this happened,” he voiced. “This is literally one of the ugliest magazine covers I have ever seen. I don’t know what to say and I don’t even have high expectations anymore!” said blueorchid. “Beyond bad. Why do so many magazines feel the need to redesign, only to end up looking like cheap supplements? Now is not the time in publishing for this,” Fiercification wrote. Do you agree that Glamour‘s redesign is a total flop? Join the conversation here.